ESTHER DISCHEREIT was born in Germany in 1952 and lives in Berlin. The author of fiction, poetry and essays, as well as plays for radio and the stage, she has received many prizes, including the Erich Fried Prize in 2009. 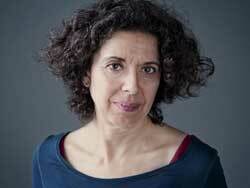 She is currently Professor of Language Arts at the University of the Applied Arts in Vienna.